Black raspberry is one of those rare flavors whose thrill you alwyas forget until early July, when you experience it again. I can remember a time when strawberries, oranges, cherries, watermelons, and other fruits had this same precious quality, but that was before the jumbo jet and modern prosperity erased the difference between the Northern and Southern hemispheres. 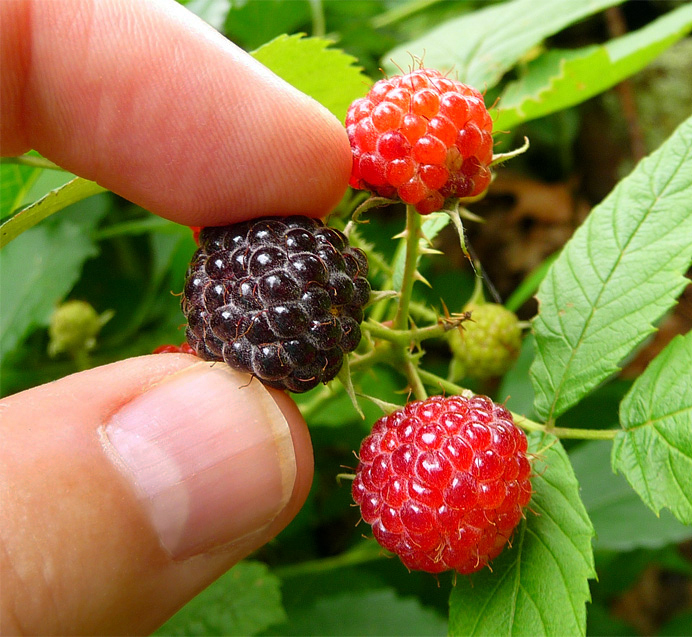 I do see black raspberries in the supermarket, occasionally—but I never want to buy them. I'd like them to continue punctuating my daily walk at a certain time each year, like an ancient clock rewound annually by God himself. . The winner was Friday, June 5. Other contenders were June 3, June 9, and my personal favorite, June 14. Thanks to all who voted!